One way to give others access to your files is to run an FTP server on your Mac. Mac OS X Snow Leopard comes with an FTP server built in, so you just have to activate it. 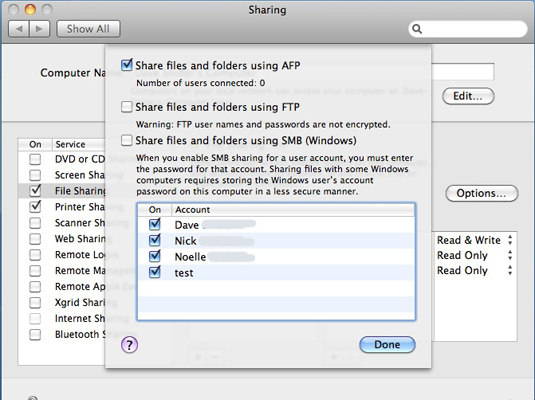 You might wonder why you’d use FTP to share files when you can use Personal File Sharing or Windows File Sharing. The main advantage to FTP is compatibility: Not only can people on your LAN access files, but anyone on the Internet can also access your files, regardless of the type of machine they’re using. 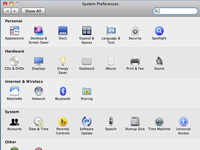 1Click the System Preferences icon in the Dock. 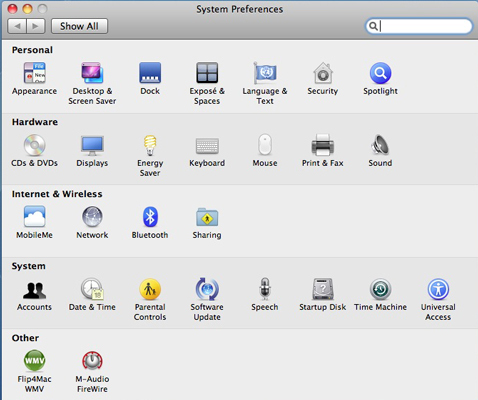 The System Preferences dialog opens. 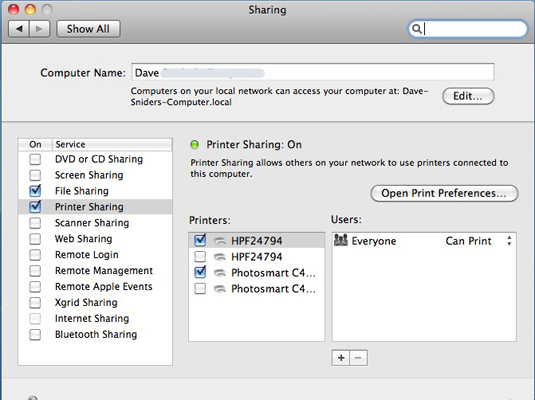 The Sharing Preferences pane opens. 3Click the File Sharing entry and click the Options button. Your file sharing options display. 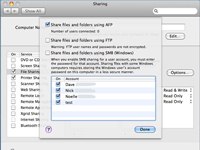 4Click the Share Files and Folders Using FTP check box to enable it. Snow Leopard reminds you on the Advanced sheet that people can use ftp://<ip address>, where ip address is the IP address of your Mac. The Advanced dialog, and System Preferences window close and your changes are saved. If you’re using an AirPort/AirPort Extreme Base Station or other cable/digital subscriber line (DSL) router to share your Internet connection, place the Mac that you want people on the Internet to access in a DMZ, or demilitarized zone. Check your cable/DSL router documentation for more information.